But as House lawmakers unrolled their proposal for another delay, senior congressional staff from both chambers and parties said they don't think it's likely to move before insurers start setting their ACA exchange rates next year. One senior GOP aide said it's unclear how any of the smaller tax delays will get done, "let alone the big spending health care extenders." Some insurance executives have been bracing for the possibility they won't get their delay. But they also haven't given up on urging Congress to step in and eliminate the tax or continue the moratorium from 2019. "That causes the average senior couple to see their premiums raised by $500 per year and for families with small business coverage by about the same amount, around $480 or so per year," Wichmann said. "Our view is that outcome is unacceptable because healthcare already costs too much." S&P analyst Deep Banerjee said a return of the HIT wouldn't necessarily affect insurers' profit margins for Affordable Care Act individual market exchange plans, where companies can pass the fee on to their customers through higher premiums. However, he said, insurers are less likely to take this approach in the more lucrative Medicare Advantage market where competition between plans is so tight they don't want to risk losing enrollees. The push for the HIT delay comes after the eight largest publicly traded insurance companies reported more than $21 billion in net income for 2018 on top of revenue of $718 billion, according to analysis by Modern Healthcare. Despite the HIT being in effect in 2018, insurers' earnings benefited from low medical cost trends, lower utilization of healthcare services, declining pharmacy costs and a lower tax rate, according to a report released Thursday by A.M. Best. In a sign that Medicare Advantage insurers are worried about the HIT's potential impact on their markets, Humana CEO Bruce Broussard told investors earlier this month the HIT moratorium allowed Humana and the rest of the industry to make significant investments in benefits and drive better health outcomes, but its return will reverse that. "The return of the HIF in 2020 will negatively impact seniors across the nation in the form of reduced benefits and/or higher premiums," he said. Broussard, during the company's first earnings call for 2019, said this is driving their lobbying push. "We are working with partners to urge Congress to take legislative action to repeal the HIF for 2020 and beyond, recognizing that there is a sense of urgency given the rapidly approaching deadline for submitting bids for 2020 Medicare Advantage offerings," Broussard said. On the flip side, UnitedHealth CFO John Rex in January indicated that the company is so diversified it's unlikely to feel a financial squeeze, warning that instead the tax would add to the cost burden of the insured. "I'd be remiss to diminish $2.6 billion of our customers' funds just having been paid for the health insurance tax," Rex said. "That's still a very significant number for any company, I would say, and a burden for our customers." In terms of the HIT's impact on premiums, Oliver Wyman Actuarial Consulting last year projected a likely increase of just over 2% annually. The firm predicted the biggest increase for Medicare Advantage — $241 per MA enrollee versus a $196 increase per person in the ACA individual market. A senior Democratic aide said while there's been preliminary discussions on the staff level, the legislation doesn't seem to have a good chance of a House floor vote anytime soon. And Rep. Earl Blumenauer (D-Ore.), who sits on the House Ways and Means Committee's tax policy and health panels, said this is partially because all the insurance taxes are figuring into the committee's broader discussion over where they want to go with taxes. "For me, I don't think it's a good idea to be spun out on individual details until we've heard the big picture," the congressman told Modern Healthcare. "There's a big agenda in terms of trying to deal with tax issues, and I think you don't want to deal with these things piecemeal until we find out where we're at, because they all interrelate," he added. Reps. Ami Bera (D-Calif.), Josh Gottheimer (D-N.J.), Jackie Walorski (R-Ind.) and Kenny Marchant (R-Tex.) led the House proposal to delay HIT through 2021. Sens. Cory Gardner (R-Colo.), Jeanne Shaheen (D-N.H.), John Barrasso (R-Wyo. ), Doug Jones (D-Ala.), Tim Scott (R-S.C.), and Kyrsten Sinema (D-Ariz.) led the Senate version in January. Humana says its joint venture with Walgreens Boots Alliance is helping boost enrollment in Medicare Advantage, the fast-growing privately administered health coverage for U.S. seniors. Humana reported a 9% increase in Medicare Advantage membership the health insurer attributed to physicians at more than 230 clinics including two sites inside Walgreens stores. It’s the latest sign showing the early stages of a joint venture between Humana and the nation’s largest drugstore chain is working and could be expanded beyond a pilot in the Kansas City market. "Our 233 owned, joint ventured and alliance clinics, the majority of which are payer agnostic, including our two 'Partners in Primary Care' clinics inside Walgreens stores experienced positive results in the annual election period," Humana CEO Bruce Broussard told analysts Wednesday during the company's fourth quarter earnings call. "Humana MA membership grew over 9% in these clinics in the (annual election period) excluding the more mature Conviva clinics." Humana, which has invested hundreds of millions of dollars acquiring and partnering with medical care providers in recent years, said its relationships helped it take Medicare Advantage market share away from rival insurers. Humana said it expects 2019 individual Medicare Advantage membership growth of “375,000 to 400,000 members, representing 12% to 13% growth,” the insurer reported Wednesday as part of its fourth-quarter 2018 earnings release. Walgreens and Humana last year opened “senior-focused primary care clinics” inside drugstores as a way to complement Walgreens pharmacy services and Humana’s Partners in Primary Care centers that opened last year in Kansas City. The effort is designed in part to keep people out of the more expensive hospital setting and make sure Medicare patients have their care more closely monitored by Walgreens pharmacists and physicians in Humana’s health plan networks. The Medicare Advantage growth is key for Humana, which is in a competitive battle with rival insurers like Aetna, UnitedHealth Group and Cigna, looking to tap into a market of more than 10,000 baby boomers aging into the Medicare population every day. Medicare Advantage plans contract with the federal government to provide extra benefits and services to seniors, such as disease management and nurse help hotlines, with some even providing vision and dental care and wellness programs. CMS is changing regulations to allow Medicare Advantage plans to provide broader coverage in the future, which is also expected to boost enrollment. L.E.K. Consulting has projected Medicare Advantage enrollment will rise to 38 million, or 50% market penetration by the end of 2025. Humana ended 2018 with 3.06 million individual Medicare Advantage members, which was up 7% from 2.86 million as of Dec. 31, 2017. Since CMS proposed expanding supplemental benefits for Medicare Advantage for the 2020 plan year at the end of January, several industry groups have voiced their support, seeing opportunities to improve care for individuals with chronic illnesses and lower costs. The proposal allows MA plans––which are private health insurers that contract with Medicare to provide all healthcare services under original Medicare––more flexibility to design benefits centered around specific chronic conditions. CMS previously expanded supplemental benefits for the 2019 plan year to include services such as in-home care, which can keep older adults out of acute care settings and improve health and wellness. The new expansion, if finalized, would enable plans to cover more benefits that directly address social determinants of health, such as home modifications, transportation and meals. For people with chronic conditions, addressing these issues can prevent or delay more serious health events. The benefits would also extend to those affected by opioid addiction seeking treatment. The expanded benefits could help attract more Medicare beneficiaries to MA plans if plans include them in their 2020 bids. Over the next several years, MA enrollment is expected to significantly rise. In 2019, enrollment is anticipated to reach an all-time high of 22.6 million, or 36.7 percent of all Medicare beneficiaries, according to CMS. With this in mind, Matt Eyles, president and CEO of association group America’s Health Insurance Plans (AHIP), is taking a close look at the proposal and its potential impact. Better Medicare Alliance, which advocates for MA through healthcare policy and research, also plans to comment on the proposal and voiced stronger support for the expansion of the supplemental benefits to people with chronic illness and those affected by opioid addiction. Centene and WellCare Health Plans are the latest to report a surge in seniors signing up for private Medicare coverage administered by health insurers. Centene and WellCare, which reported earnings Tuesday, have been expanding beyond their historic business lines dominated by administering Medicaid benefits for states into Medicare Advantage. Centene also has a large business offering subsidized individual coverage offered under the Affordable Care Act. But these health insurers are joining the parade of health plans and startups taking advantage of more than 10,000 baby boomers turning 65 every day and rule changes administered by the Centers for Medicare & Medicaid Services (CMS) to allow private insurers to offer more benefits in Medicare Advantage plans they sell. Centene’s enrollment in Medicare plans, including Medicare Advantage, rose 25% to 416,900 in the fourth quarter compared to 333,700 in the fourth quarter of 2017. Meanwhile, WellCare reported Tuesday its enrollment in Medicare plans including Medicare Advantage increased nearly 10%, or by 49,000, to 545,000 in the fourth quarter of last year compared to 496,000 in the fourth quarter of 2017. Such growth reported by Centene and WellCare Tuesday comes following double-digit percentage growth in Medicare Advantage enrollment already released by Anthem and UnitedHealth Group. Humana reports its earnings later this week and Aetna, now owned by CVS Health, reports its fourth quarter results later this month. Medicare Advantage plans contract with the federal government to provide extra benefits and services to seniors, such as disease management and nurse help hotlines, with some even providing vision and dental care and wellness programs. CMS' rule changes to allow Medicare Advantage plans to provide broader coverage in the future is also expected to boost enrollment. L.E.K. Consulting has projected Medicare Advantage enrollment will rise to 38 million, or 50% market penetration by the end of 2025. 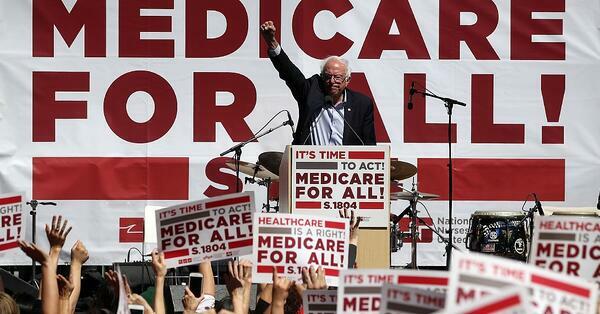 The rising enrollment in privately-administered Medicare Advantage plans comes as members of Congress and Democrats running for president in 2020 talk about expanding Medicare to all Americans. Some of the plans include allowing private insurers to maintain their role offering Medicare Advantage but others urging "Medicare for All" including Sen. Bernie Sanders of Vermont and Sen. Kamala Harris of California have talked about a diminished role for the health insurance industry in administering Medicare benefits. Since 2014, Graves, 69, has enjoyed free access to the gym through SilverSneakers, the nation's best-known fitness program for seniors. He was disturbed by the news, as are many other people who have recently learned they're losing this benefit. A controversial business decision by UnitedHealthcare, the nation's largest health insurance carrier, is causing the disruption. As of Jan. 1, the company is dropping SilverSneakers — an optional benefit — for 1.2 million customers with Medicare Advantage plans in 11 states (California, Connecticut, Illinois, Indiana, Iowa, Kansas, Missouri, Nebraska, Nevada, North Carolina and Utah) as well as 1.3 million customers with Medicare supplemental (Medigap) insurance in nine states (Arizona, California, Connecticut, Illinois, Indiana, North Carolina, Ohio, Utah and Wisconsin). rates and eliminated SilverSneakers in California. He has signed up for a new policy with Blue Shield of California. Seniors with UnitedHealthcare Medicare supplemental policies will get 50 percent off memberships at thousands of gyms across the country, telephone access to wellness coaches and access to various online communities and health-related resources. Those with Medicare Advantage policies can join Renew Active, UnitedHealthcare's fitness program, with a network of more than 7,000 sites, at no cost, and qualify for an evaluation from a personal trainer and an online brain-training program, among other services. Steve Warner, who leads UnitedHealthcare's Medicare Advantage product team, explained the company's move by noting that over 90 percent of policyholders who are eligible for SilverSneakers "never step foot in a gym" or use this benefit. UnitedHealthcare wants to reach "a broader portion of our membership" with a "wider variety of fitness resources," he said, noting that the company's shift away from SilverSneakers began last year and has accelerated this year. Altogether, more than 5 million customers have been affected. But the company is making market-by-market decisions, and nearly 675,000 UnitedHealthcare Medigap policyholders and 1.9 million UnitedHealthcare Medicare Advantage plan members will retain access to SilverSneakers in 2019. "I think it's a smart move," said Connie Holt, an independent broker with Goldsum Insurance Solutions of Pleasant Hill, Calif. But many of the company's customers aren't happy that SilverSneakers, which offers group classes tailored to seniors in addition to gym access at 15,000 sites, is disappearing. And confusion about alternatives is widespread. 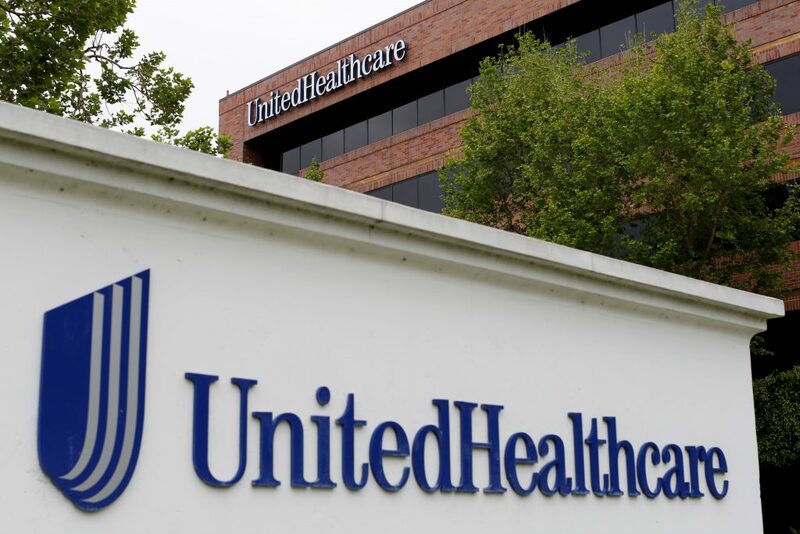 Following a Medicare open-enrollment period that included the company’s debut in Minnesota, UnitedHealthcare officials said Tuesday that the health insurer expects in 2019 to add more than 400,000 Medicare Advantage enrollees across the country. UnitedHealthcare was already the nation’s largest provider of Medicare Advantage plans, a newer form of coverage where enrollees opt to receive their government benefits through a private health insurance company. At the end of last year, 4.9 million people were enrolled in the company’s MA health plans. Government data show that UnitedHealthcare enrolled about 2,300 Minnesotans in Medicare Advantage plans this month. “We completed a strong Medicare Advantage enrollment season last month and are on track to achieve 2019 growth within the 400,000 to 450,000 range of expectations,” said Steve Nelson, an executive vice president at parent company UnitedHealth Group, during a conference call. Shares of UnitedHealth Group closed up more than 3 percent in trading Tuesday after the Minnetonka-based health care giant beat analyst expectations for fourth-quarter profit on continued growth at its Optum division for health care services. For the first time, annual sales at Optum hit the $100 billion mark, company officials said Tuesday, as the division’s operating earnings for the year grew more than $1.5 billion, or 23 percent, to $8.2 billion. A common theme among insurers speaking at the J.P. Morgan Health Care Conference this week: the boost from Medicare Advantage. Executives from several companies pointed to the program as they discussed their upcoming year at the conference. Nationally, M/A enrollment and spending are expected to surge over the next decade, until more than 4 in 10 beneficiaries are in the program by 2028, according to a recent report in the New England Journal of Medicine. 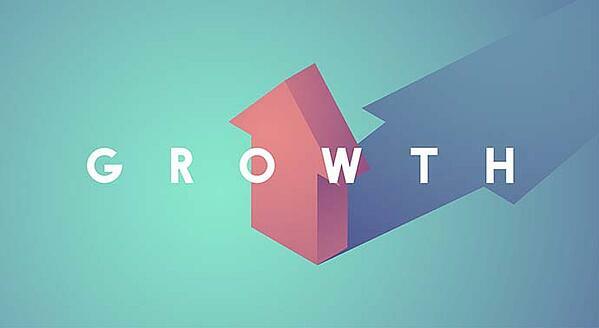 The M/A enrollment rate is set to grow from 34% in 2018 to 42% over the next 10 years. 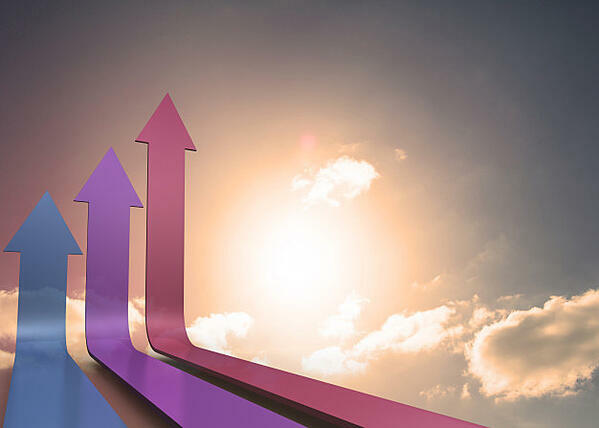 There are now more than 22 million Americans enrolled in privately-administered M/A plans for 2019 with the number expected to continue to rise. M/A enrollment will rise to 38 million by 2025, according to a report from L.E.K. Consulting.